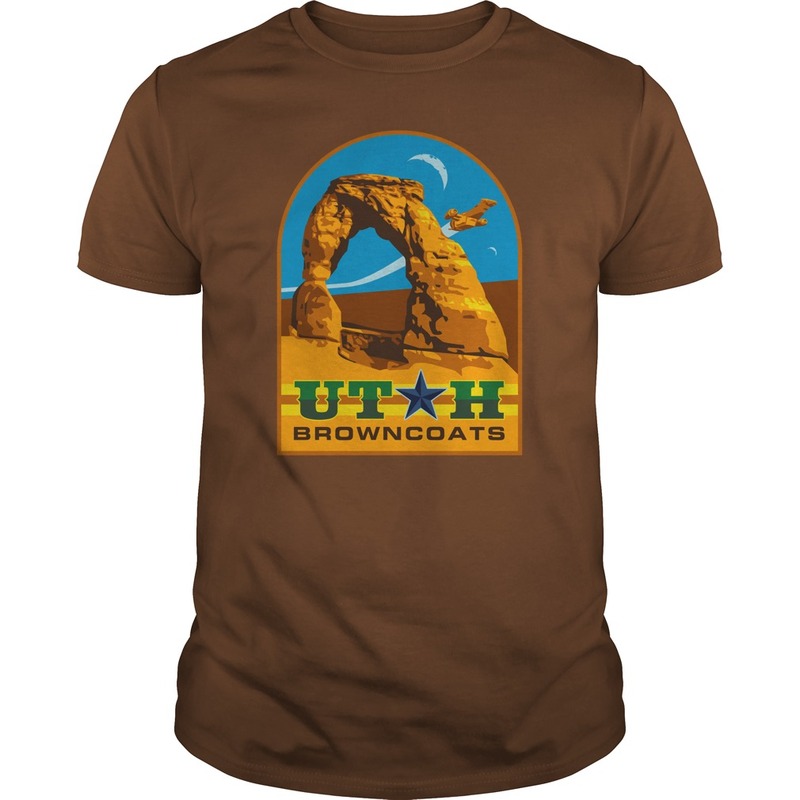 Utah Browncoats Society: Arches Patch - The Captain Approves! Arches Patch - The Captain Approves! Last year for Salt Lake Comic Con 2015, we debuted a new limited edition patch for the Utah Browncoats. This patch was created by our own local artist, William Pace. 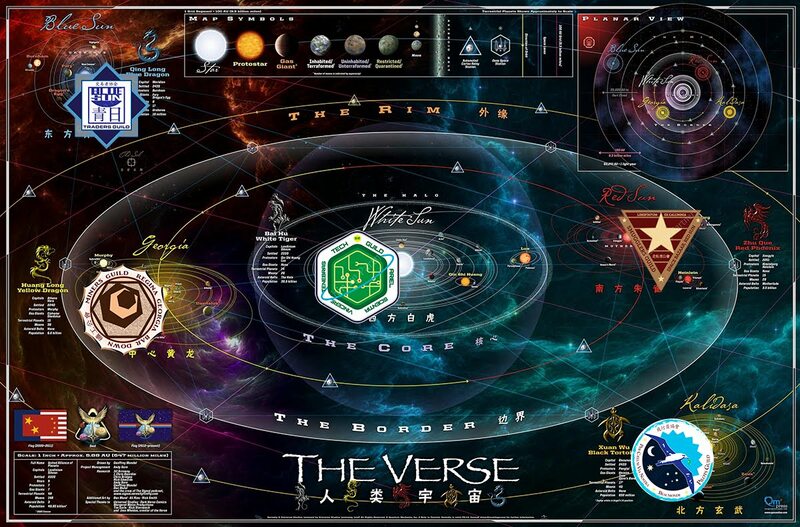 The patch represents the town of Utah on the planet Hera within the expanded Firefly / Serenity universe*, as well as our local real life group. The moons depicted are Eris (larger) and Bullet respectively, and of course our beloved favorite ship is flying overhead. Delicate Arch also celebrates our beautiful local landscape. Since it's creation, this patch has been gifted to many people who appreciate the Firefly fandom, as well as purchased by local folks to celebrate their love for Firefly as well. 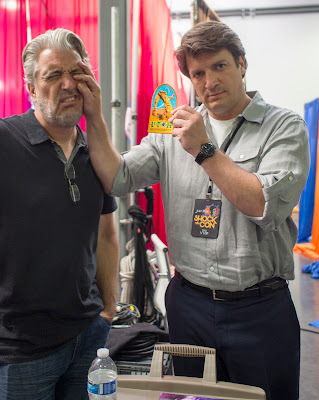 Because of the nature of celebrity interaction, it's very difficult to get a shot of the moment that the patch has been gifted, and so that is why we are thrilled to be able to share this very special moment with our own Captain, Nathan Fillion. 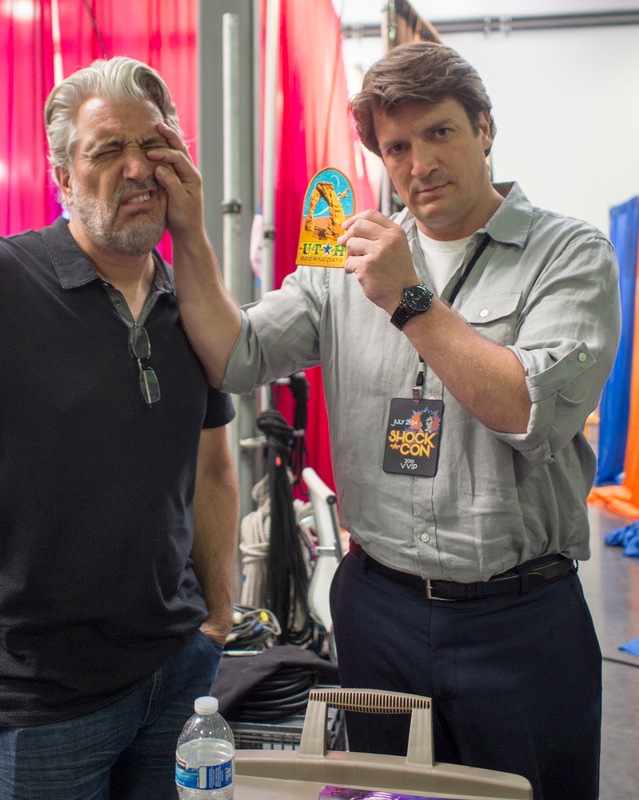 The photo was taken on the set of the upcoming Season 2 of Con Man, and Nathan told the photographer that it was very beautiful! We greatly appreciate the cast and crew of Con Man Season 2 who made this photo possible, especially Alan Tudyk, Nathan Fillion, PJ Haarsma and Shannon Eric Denton. We do have a limited amount of stock of these patches left, if you would like one of your own. Check out our Mercantile page for more information.